It’s been nearly three years exactly since Swedish indie folk duo First Aid Kit made their debut at The Ryman Auditorium, an impressive and well-deserved feat after working their way up the Music City ranks, performing The End in 2010 and 3rd & Lindsley in 2012. Following a slightly longer break than usual, the group, sisters Johanna and Klara Söderberg, are finally gearing up for their as-yet-untitled and undated fourth album, beginning with the recent release of stellar lead single “It’s a Shame,” and also a string of new tour dates, including a long-overdue Ryman return on Feb. 1. Continuing their folk-drenched indie pop sounds and hypnotic harmonies, which has earned them high-profile fans like Conor Oberst and Jack White, the single just spawned a new video, depicting a two very different versions of nighttime walk through the streets of Stockholm, inspired by the 1998 film Sliding Doors. Along with the spot came news of the group’s early 2018 North American run, which, as we’d been hoping for, returns them to the fitting confines of the Mother Church, a venue so perfectly suited to their lovely, layered, and enthralling style. 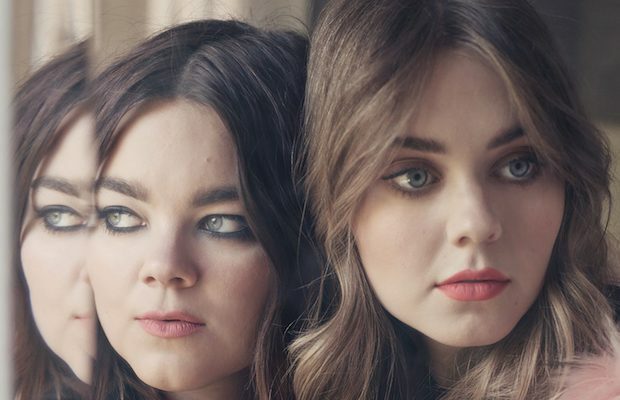 Tickets for First Aid Kit’s Nashville return go on sale this Friday, Oct. 13 at 10 a.m. CDT right here, with a Spotify pre-sale currently underway (use code ‘ITSASHAME’). In the meantime, watch their new video for “It’s a Shame” below, check out a full list of tour dates, and keep an eye out for album news!